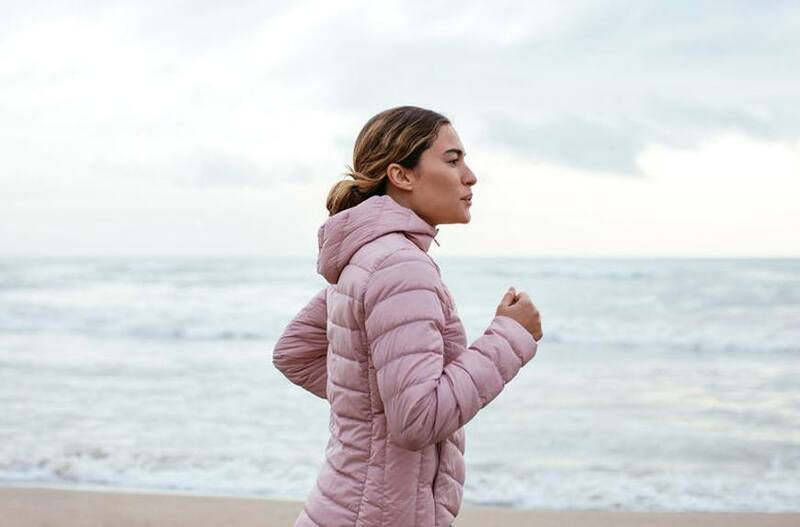 It’s a sad day when the temps drop, turning your breezy fall runs into 10-layer, freezing-cold sprints straight back to your warm, cuddly blanket. Even though winter can’t stop you from hitting the pavement, there’s one thing that might be bothering you during your outdoor workouts: the weird—and sometimes painful!—sensation you get in your lungs from breathing in the icy air. But is something bad actually happening to your lungs, or does it just feel like it? When you’re simply walking around outside in cold weather, you’re probably breathing through your nose, giving that ice-cold air time to warm up before it hits your lungs. When you’re exercising, on the other hand, you’re taking deep, quick breaths through your mouth, so the cold, dry air hits your lungs as-is, creating a sensation that despite feeling weird isn’t anything to worry about. “Cold weather can cause your airways to spasm, leading to symptoms such as shortness of breath and chest tightness. But unless you have asthma and other lung diseases, exercising in cold weather isn’t harmful to the lungs,” says John Prucha, MD, a doctor at UCHealth. Yeah, yeah—running outside is way better than jogging in place on a treadmill like a hamster. But on those ultra-chilly days, it might just be your best bet to keep you and your lungs happy. These are the eight biggest activewear trends for fall/winter 2018. Or, find out how “daylighting” can help you beat the winter blues before they really get you down.